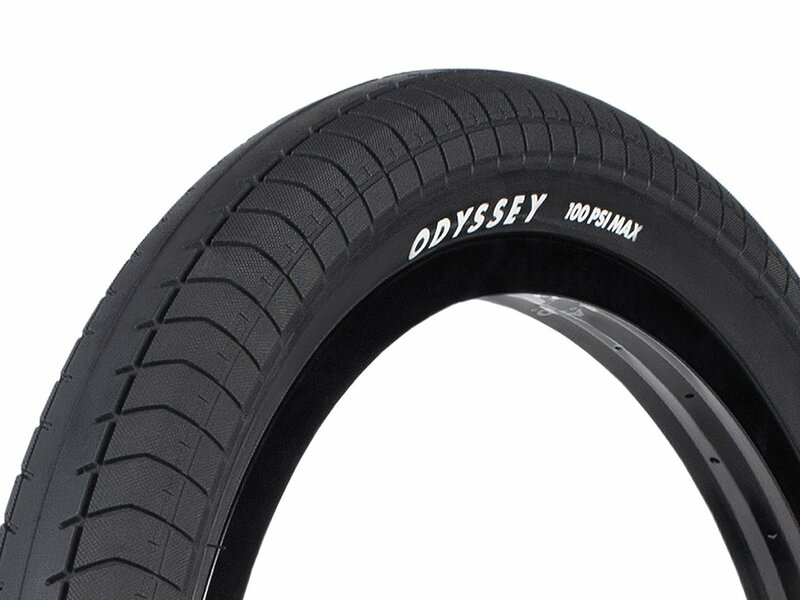 The Odyssey BMX "Path Pro 100psi K-LYTE" BMX Tire (foldable) is based on the popular Path tire from the early 2000's, but it's been fully redesigned to meet today's riding styles. This includes a proprietary rubber compound that is both extra-grippy and long-lasting, bigger sizing options, and an all new tread pattern inspired by the original with a smooth center tread and knurled side blocks. 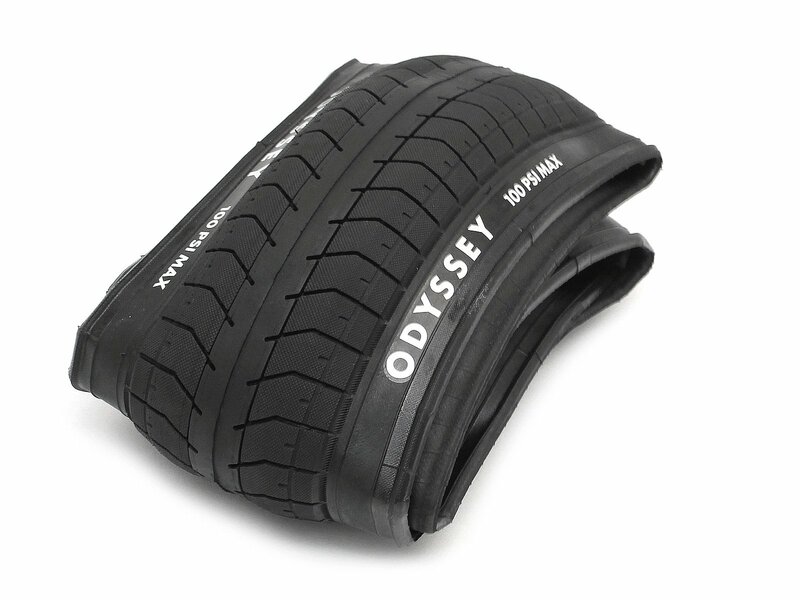 The Odyssey BMX "Path Pro 100psi K-LYTE" BMX Tire (foldable) is very light and foldable by the use of Kevlar instead of wire. With these features, it fits in any backpack and is perfect as a spare tire on the go.